It’s Perfect for Halloween Projects, Too! 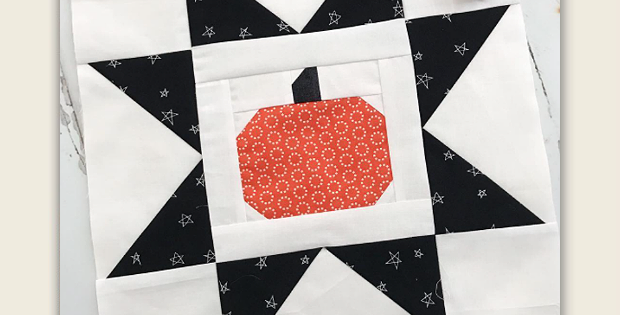 A pieced pumpkin within a star creates a charming block for an autumn quilt. Depending on the fabrics you choose, the finished project can be used all autumn long or create something special for Halloween. 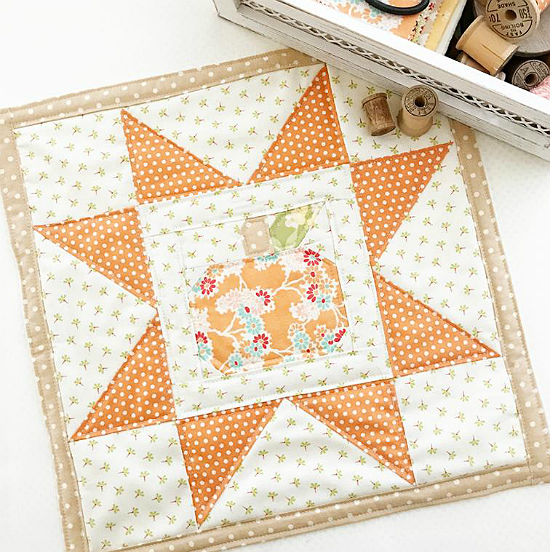 Finish one block for a mini quilt to hang on your wall or to display on a table. Combine several blocks for a table runner or even more for a larger quilt. The finished block, designed by Lindsey Weight, is 13″ square. The center pumpkin finishes at 4 1/2″ square. The leaf is optional. 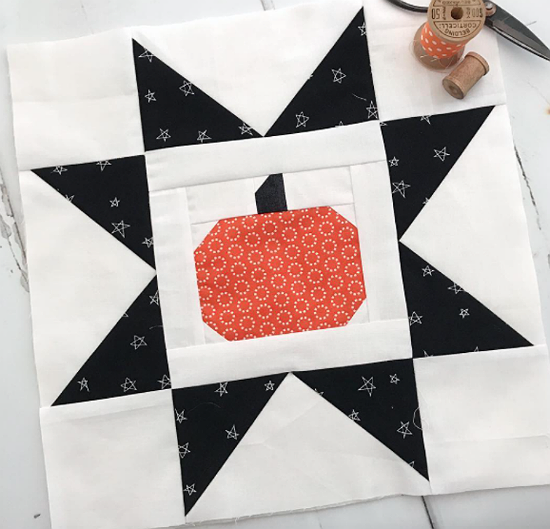 Click here to purchase the “Pumpkin Star Block” pattern.